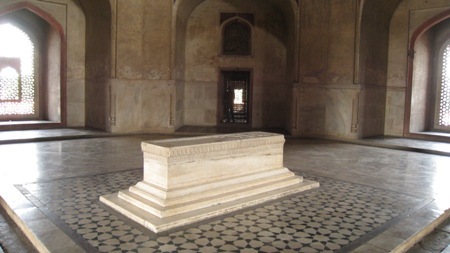 Hamida Banu Begum, his grieving widow, built Emperor Humayun's mausoleum. 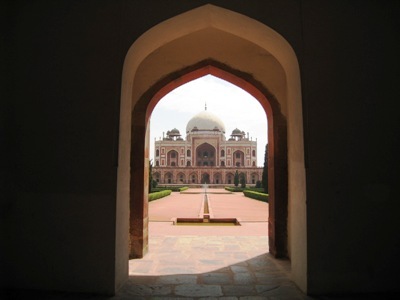 Precursor to the Taj Mahal, it stands on a platform of 12000㎡ and reaches a height of 47m. 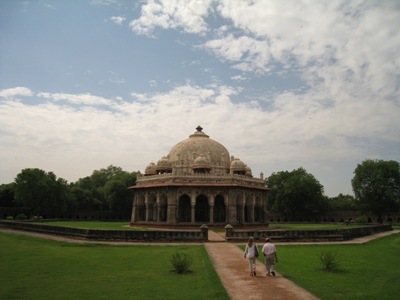 The earliest example of Persian influence in Indian architecture, the tomb has within it over100 graves, earning it the name, 'Dormitory of the Mughals'. 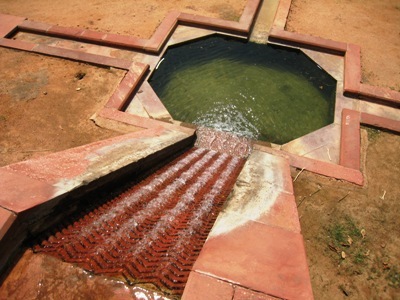 Built of rubble masonry, the structure is the first to use red sandstone and white marble in such greate quantities. 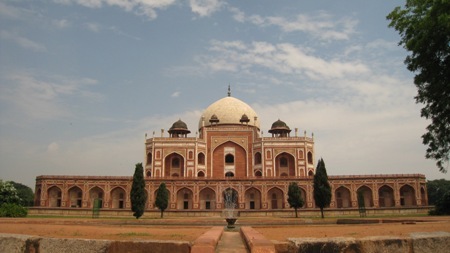 The small canopies on the terrace were originally coverd in glazed blue tiles, and the brass final over the white marble dome is itself 6m high. 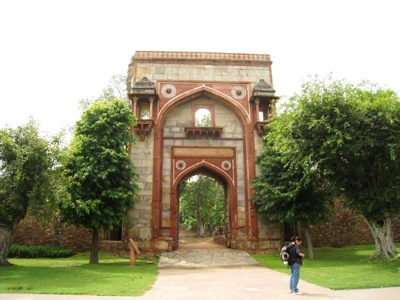 This 14 metre high gateway led to the walled enclosure which housed the Persian craftsmen who came here for teh building of Humayun's Tomb. 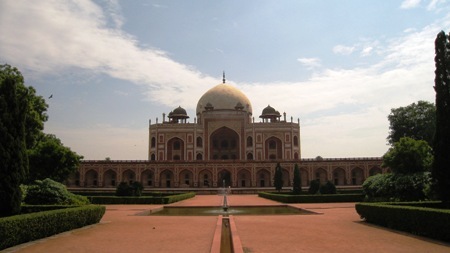 Red sandstone and white marble inlay work add a striking touch to the gateway, mostly built of Delihi quartzite stone. 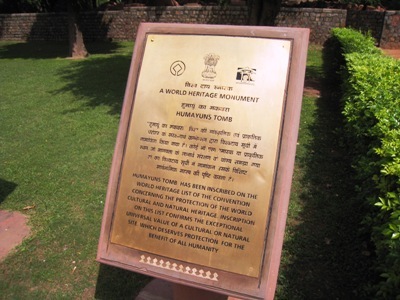 The projecting jharokhas still display remnants of the glazed ceramic tiles.